Congratulations to winners of the seventh annual Design Portfolio Awards competition. Top winners in five categories were selected to receive Design Portfolio Awards this year. Also selected were 12 projects to receive Honorable Mention awards. All are being honored for their outstanding craftsmanship and designs. Specialty Products, The Art of Furniture, Minneapolis, MN, for the "Cleo" portrait mirror. CWB congratulates all winners for their exceptional work. The winning projects are a testament to the high level of talent, creativity and dedication to quality found throughout our industry today. A panel of four met the difficult challenge of selecting winners in the 2001 Design Portfolio Awards competition. * Scott DeGenova is vice president of Custom Veneered Interiors Inc. in Algonquin, IL. CVI produces architectural millwork, specializing in custom cabinetry and serving both the commercial and residential market. 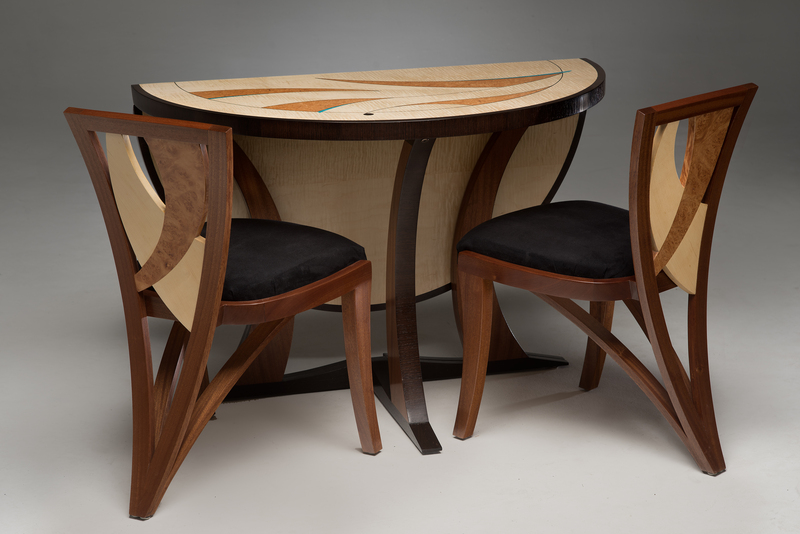 DeGenova also is a past-president of the Chicago Chapter of the Architectural Woodwork Institute. * Barbara Garet, a member of the International Furnishings and Design Assn., is former Design Editor for CWB and Wood & Wood Products magazines. Beginning next year, she will serve as editor of the new Special Effects section in both publications. 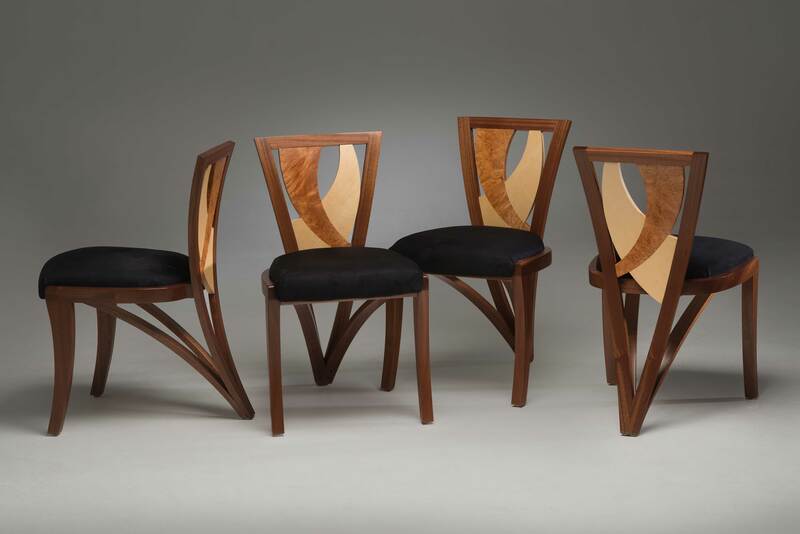 She has served as a judge in three past student Design Emphasis competitions at IWF in Atlanta and also was a judge in the first Pinnacle Awards competition sponsored by the American Society of Furniture Designers. 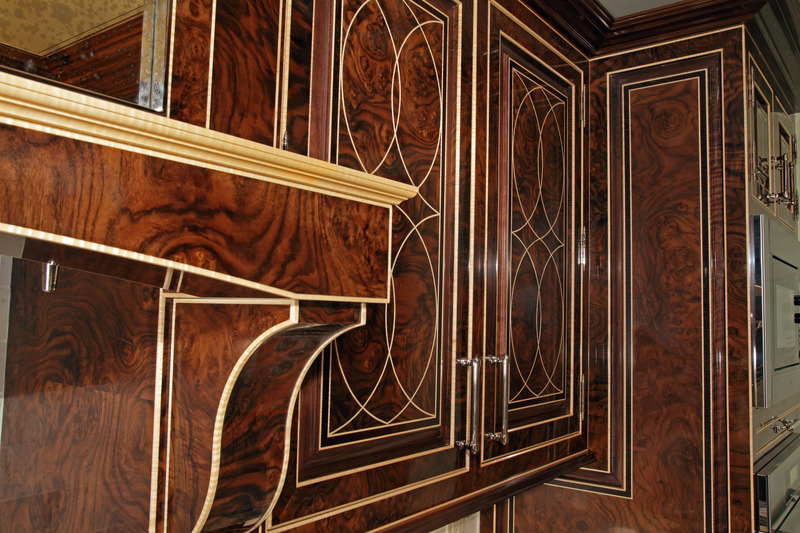 * Tom Gleason is co-founder of Bailey & Gleason Cabinetmakers in Chicago. The company specializes in architectural millwork, entertainment centers, library and wall units, and freestanding cabinets, tables and bedroom furniture. Gleason is also a project manager for Highland Park Millwork in Highland Park, IL, and has been a contributing editor to CWB. * Julie Smith is the senior editor of Furniture Style magazine and editor of OFFICE magazine. She has judged several furniture design competitions, most recently the student Design Emphasis competition at IWF 2000. CWB extends its appreciation to the panel for donating their time and talents to judging this year's competition.